We undertake the furnishing of proposals complete with systems Design, Quantification together with budgetary estimates in respect of the supply & installation of equipment, accessories and components for each system, as shown below. 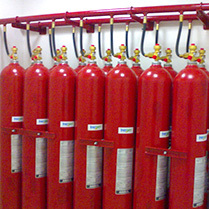 Portable and Mobile Fire Extinguishers. Manual & Automatic Fire Detection and Alarm Systems. Fire SUPPRESSION systems incorporating pillar hydrant, landing valves, Hose Reels, Sprinklers and accessories with fire pumps and control panels. 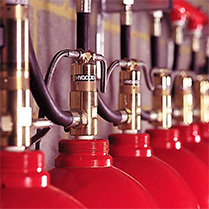 Automatic Gas flooding Systems for IT configurations. 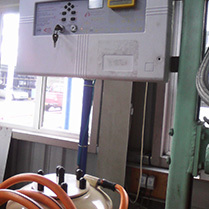 Automatic Air Foam Flooding System for Tank Farms and Petroleum Installations. EXIT and allied signage such as Assembly Points, Hazardous Area, etc. Training of personal in the principles & practices of first Aid Fire Fighting including the correct identity and use of Extinguishers, Fire Suppression Systems with a simulated live Fire Demonstration.